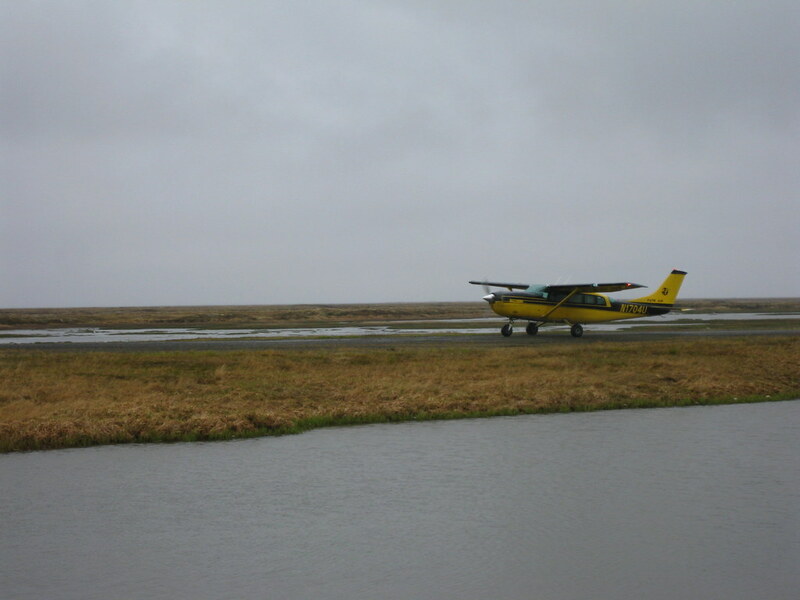 The airport runway at Kwigillingok, a coastal community in southwest Alaska, is substantially substandard. 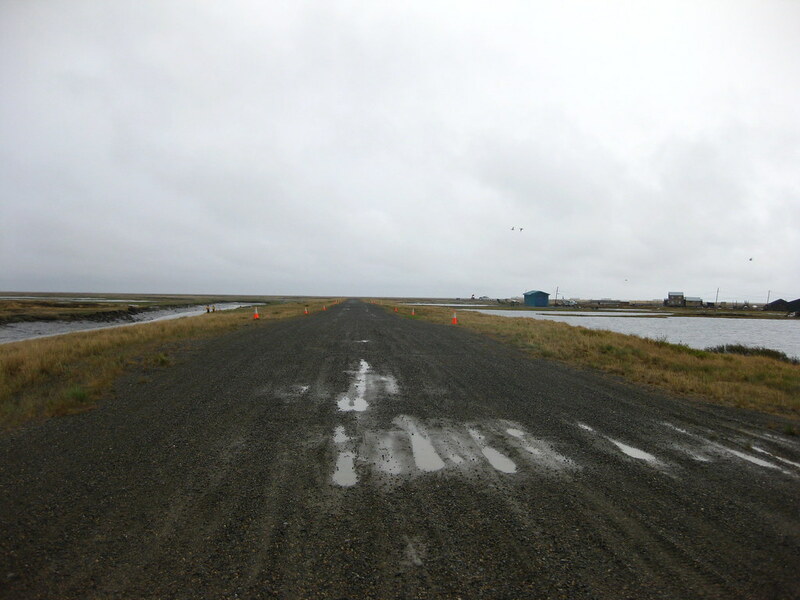 The runway, only 2000’ long, required expansion to allow aircraft to land/takeoff safely. 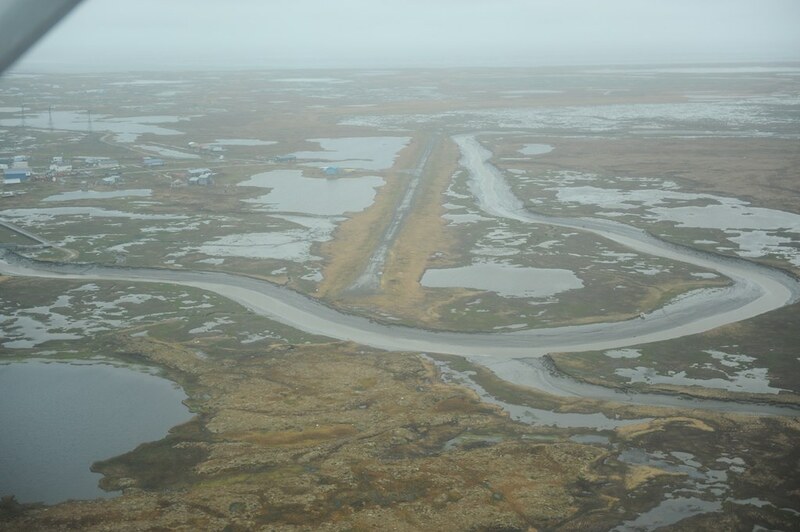 The runway is hemmed in between the community (buildings) and the tidally influenced Kwigillingok River. Expansion meant the need to relocate a portion of the river as well as to provide permanent erosion control measures to protect it. In addition to the design, PDC led the environmental assessment and the environmental permitting for this project. Gravel materials in Kwigillingok, like much if the Y-K Delta are virtually non-existent. An adjacent “dry” lake bed will be mined to provide sand embankment which will be topped with imported gravels. Assessment of the potential impacts and eventual permitting related to the river realignment and wetlands impacts for the material extraction and embankment fill were the key challenges.